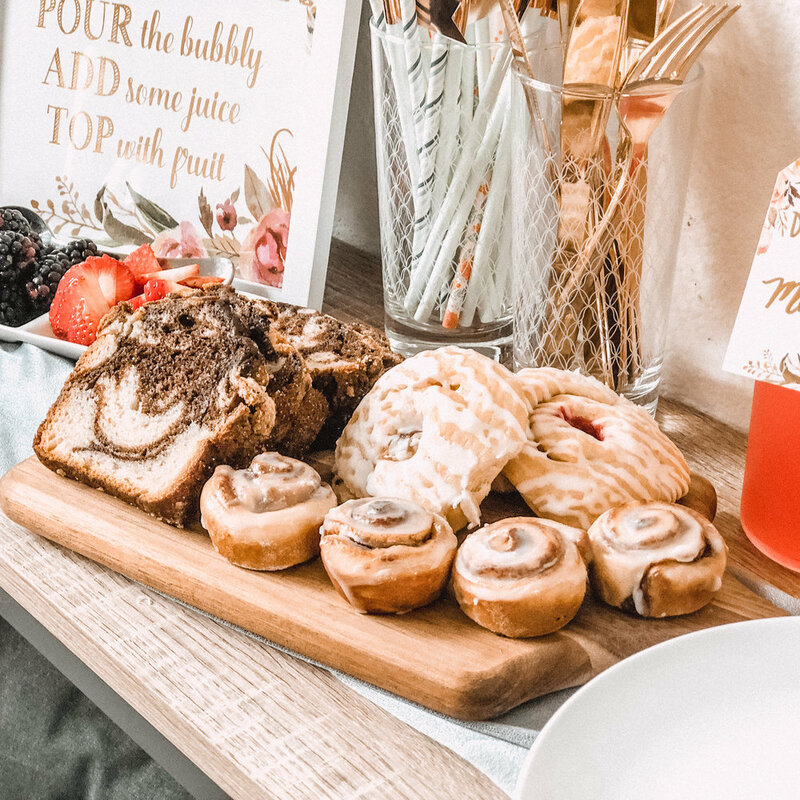 After you’ve gotten your decor, serve up your favorite bite sized breakfast treats, I chose mini cinnamon rolls, assorted danishes and marble bread. To finish the mimosa bar bit, I added a variety of fresh fruit and of course you can’t make a mimosa without champagne or prosecco as well as a selection of juices (I chose guava, orange juice and dragonfruit mango) which I poured and served in swing top bottles. The mimosa bar kit from amazon was great because it included a hanging sign, a printed foil sign and individual labels to hang around each juice bottle. Don’t forget drinkware, plates and utensils (I added pretty paper straws and gold plastic flatware). Happy Hosting! Freshly the Meal Delivery Service - Worth It?